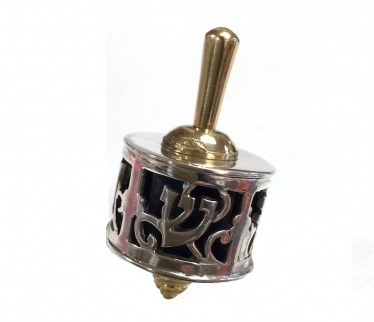 Sterling Silver Dreidel with a Brass top. The blue core shines through. Nun, Gimel, Hey and Shin are on each side of this round Dreidel. A find for any serious Dreidel collector. Measures just under 2" Tall.